The MayDay Concert. | Shamsi Music | Creating memorable musical experiences. 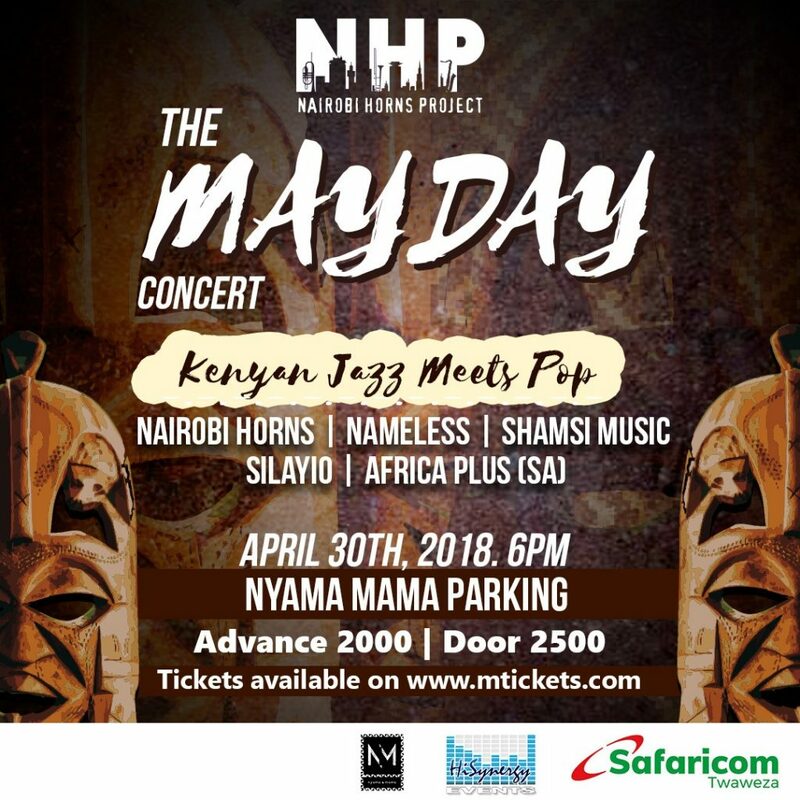 The May Day Concert is part of the ‘Afrika Unite’ Initiative by The Nairobi Horns Project (KE) and Africa Plus (SA), aimed at fostering exchanges and collaborations between musicians across Africa.Part of the proceeds from this night will go towards supporting the Jeff Koinange library at the new Mbagathi Girls High School. Next post Shamsi Music to feature in The Jazzy Koum Ben Festival.